Indian Air Force (IAF) has just become the first military establishment from India to launch to their mobile 3D game. 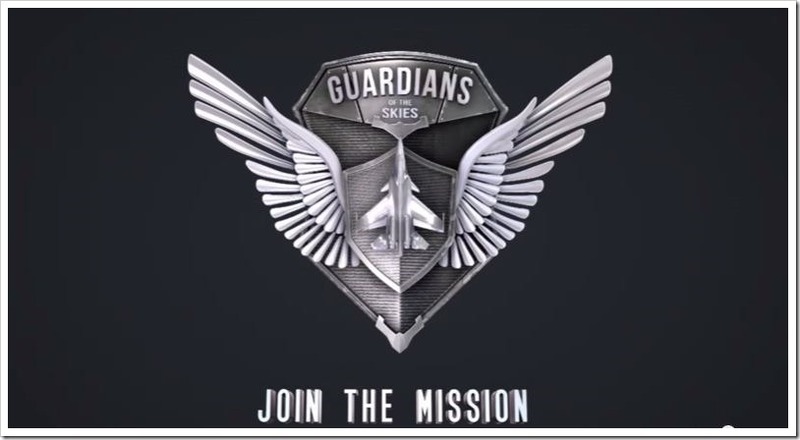 Named as Guardians of the Skies (GOTS), this game has been developed to inspire and motivate nation’s youth to join IAF and serve the country. Targeting the youth, the game has incorporated stunning visuals of air combat scenarios and realistic graphics to showcase the “might of Indian Air Force” in a virtual air combat. Publicly available information about IAF has been utilized while developing this game. A private vendor was selected to develop this game, which was selected after public tendering process. The next phase of the game would be launched in October. IAF has clearly stated that modernization of their workforce is right now their number 1 priority, as technology needs to be embraced and understood in order to fight the modern war of information. The intention behind launching this game is to attract and motivate the tech savvy youth and make them realize the power and strength of Indian Air Force. In the game, IAF is engaged with a fictitious nation called ‘Zaruzia’ wherein our fighters are carrying on defense missions to protect the sovereignty of our country. The nation is politically unstable and economically under-developed, and uses war to divert the attention of it’s citizens. The gamer needs to think and act like a real IAF fighter, devising strategy and tactics to destroy enemy’s evil intensions. Although the game characters and circumstances are fictional, the experience of the war is almost real! Check out this overview video of the game to know more. You can download this free game right here for Android devices. "IAF Launches Android 3D Game To Attract Indian Youth To Join Air Force", 5 out of 5 based on 1 ratings.